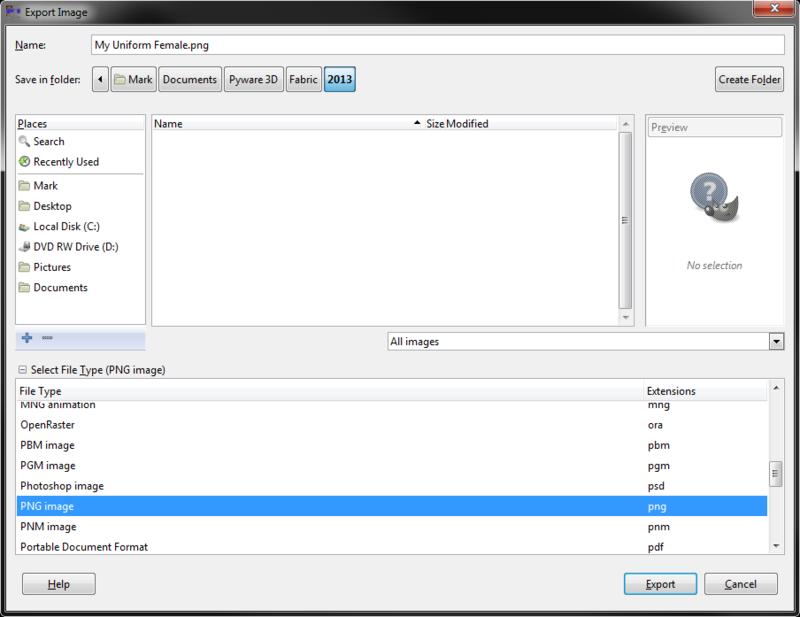 After you have completed the uniform and hid the guide layers, your file will be ready to be saved for uploading in 3D. You’ll want to save two copies of the file, one for male uniforms, and one for female uniforms. 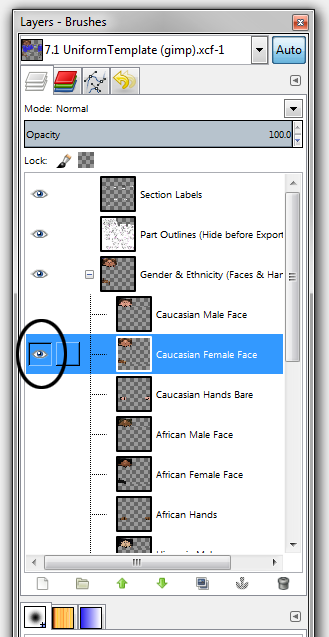 Turn on the gender layer of your choice by clicking the visibility (eye icon) for that layer. Hide the gender layer that you will save second. Go to the File menu and choose Export. For the file type, choose either a .jpg or .png image file.Give the file a name, and be sure to save the image in an easily accessible location. Repeat this process for the opposite gender you just saved. At this point, editing the uniform should be complete. For the next step, you’ll want to jump to the Load a Custom Fabric File in 3D topic.